Wonka fun dip small packets. 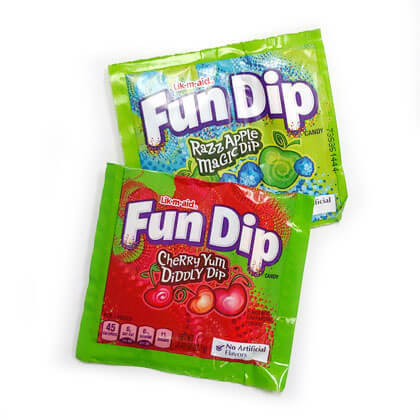 Cherry Your Diddly Dip and Razz Apple magic dip. Each pack is .5 oz. Flavors will vary depending on availability. 10 ct. Each pack is approx 3.75 inches wide and tall.